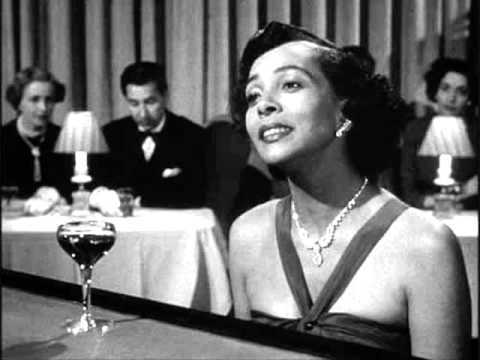 HADDA BROOKS, American jazz singer, pianist, and composer died (b. 1916); noted American pianist, vocalist and composer. Her first single, “Swingin’ The Boogie“, which she composed, was issued in 1945. She was billed as “Queen Of The Boogie.” Highlights of her life included singing at Hawaii’s official statehood ceremony in 1959 and being asked for a private audience with Pope Pius XII. Brooks began playing piano professionally in the early 1940s at a tap-dance studio owned by Hollywood choreographer and dancer Willie Covan. For ten dollars a week, she played the popular tunes of the day while Covan worked with such stars as Fred Astaire, Gene Kelly, and Shirley Temple. Brooks was married briefly during this period to a Harlem Globetrotter named Earl “Shug” Morrison in 1941. She toured with the team when they traveled. Morrison developed pulmonary pneumonia, however, and died about a year after they were married. A Lesbian, it was Brooks’s only marriage. She usually played the small part of a lounge piano player in films, and often sang the title song. “Out of the Blue” became a top hit for Brooks, “Boogie Woogie Blues” followed in 1948, and she appeared in “In a Lonely Place” (1950) starring Humphrey Bogart, and in “The Bad and the Beautiful” (1952) with Lana Turner and Kirk Douglas. Brooks became the first African-American woman to host her own television show in 1957, “The Hadda Brooks Show”, a combination talk and musical entertainment show, aired on Los Angeles’ KCOP-TV. The show opened with Brooks seated behind a grand piano, cigarette smoke curling about her, featured “That’s My Desire” as her theme song. She appeared in 26 half-hour episodes of the show. She commuted to Europe in the 1970s’s for performances in nightclubs and festivals, but performed rarely in the United States, but reemerged in the late 1980s playing nightclubs regularly in Los Angeles, San Francisco, and New York receiving rave reviews. Her 1996 album Time Was When, was with Al Viola (guitar), Eugene Wright (bass), Richard Dodd (cello), she wrote three songs on the album “You Go Your Way and I’ll Go Crazy” and “Mama’s Blues.” She began playing at hip night clubs like actor Johnny Depp’s Viper Room, New York’s’s Algonquin Room (where this writer had drinks with her late one night), and at Hollywood haunts like Goldfinger’s and the Cinegrill. Her eightieth birthday party was held at the Depp’s Viper Room, and included such guests as actors Uma Thurman, and Jack Nicholson. In 2000, the Los Angeles Music Awards, the largest and longest running awards show and showcase series in the world for independent artists, honored Hadda Brooks with the “Lifetime Achievement Award.” Hadda Brooks died after open-heart surgery at age 86. On the evening we had drinks together at the Algonquin, she did two shows (she was 80 at the time.) She sat and visited with us at our table in between shows and we stayed around to wish her well after the last show. It was 1:00 a.m. She took a little while, but eventually emerged from her backstage dressing room. She swept by our table, thanking us all for coming, and headed out the front door. She was going clubbing.